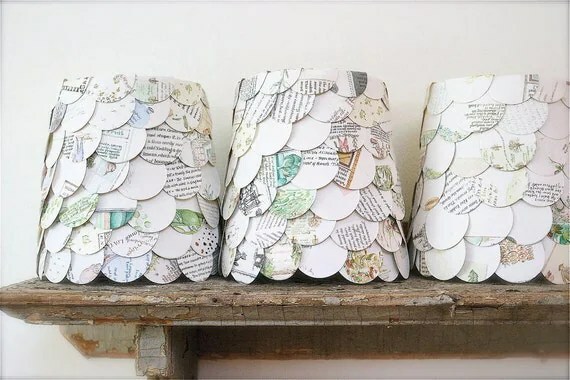 Every time I mention my recycled letterpress paper circles, my mom laughs and muses about what buyers could be using them for. Several etsians have told me they’re using them for price tags in their shops and at craft shows—and if you’re not a seller, they make great gift tags as well. 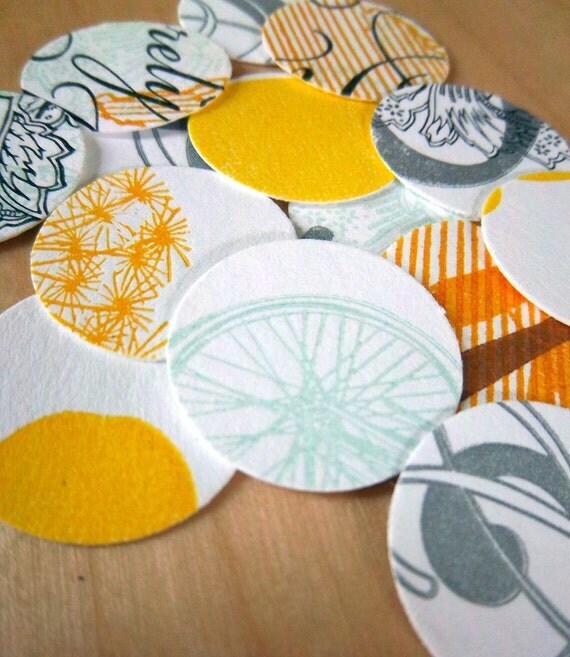 When I first thought of the circles, I imagined they’d be popular with scrapbookers and card makers. Some paper, a glue stick and voila! Festive paper goods for any occasion. If you’re feeling a little more ambitious, the October Afternoon blog has easy instructions for these adorable paper flowers. 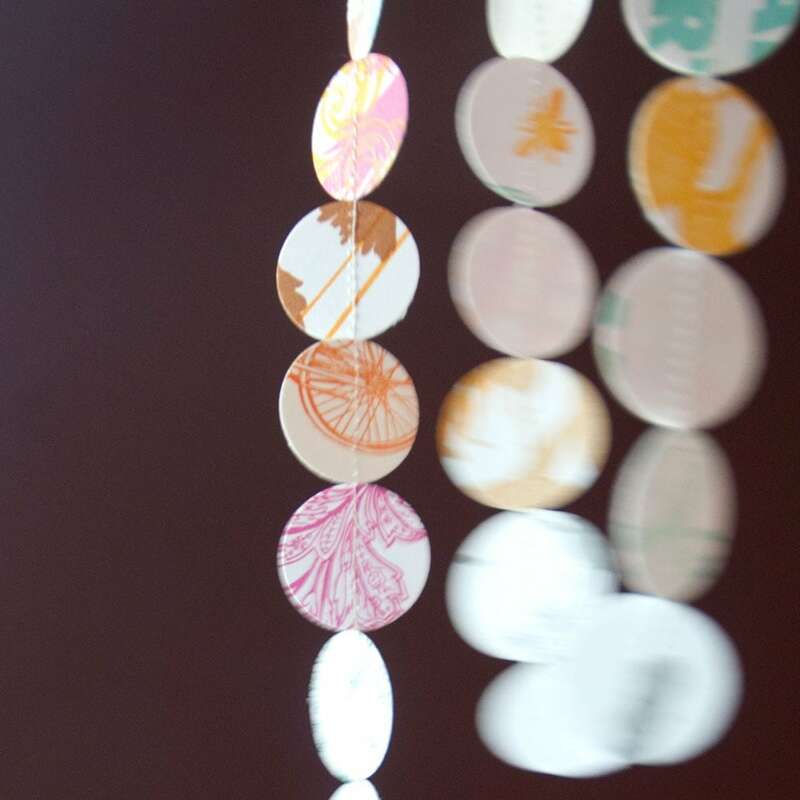 With bunting and garlands gaining popularity at weddings and events as well as for home décor, a string of circles sewn together make for a sweet celebration. This is an easy project to do yourself or find them here! The circles also create a beautiful textured pattern when glued in a fish scale pattern. Another easy project to DIY or click on the photo below!